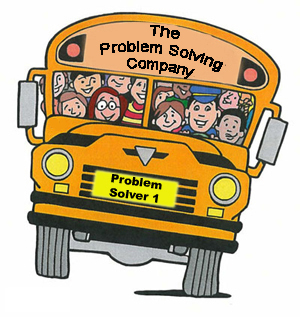 The Problem Solving Company has been visiting schools schools since 2007 providing maths workshops for Foundation stage through to KS3. We aim for our activities to be participated in within small groups, to achieve maximum particpation levels.The activities are all hands on using, large resources that are all brought to your school. Activities can cover topics including shape, space, measurement, number work, ordering, sequencing, weight and capacity. Our maths activities always result in a fun and memorable day that is packed full of learning opportunities. Covering the whole of the UK we have visited many hundreds of satisfied schools. Prices start from £295.00 for a full day and £200.00 for half a day. Please use the contact form below should you wish to get in touch. Activities were challenging, stimulating and very suited to team-building. The level of Mathematics and problem solving was high and the students thoroughly enjoyed taking part. On many occasions, activities enjoyed by students may not necessarily be rated highly in teachers' estimations, however, this was an exception! The challenges encouraged the pupils to engage in communication, thinking skills, problem solving and logic, all the while creating an atmosphere of enjoyment and a realisation that Maths is not simply limited to the work they do in the classroom. Brilliantly pitched. I am sure Ofsted would say outstanding. Very good and clear instruictions encouraging the children to think further, and the scale of the equipment was fantastic for team work.